Fourth of July vs. 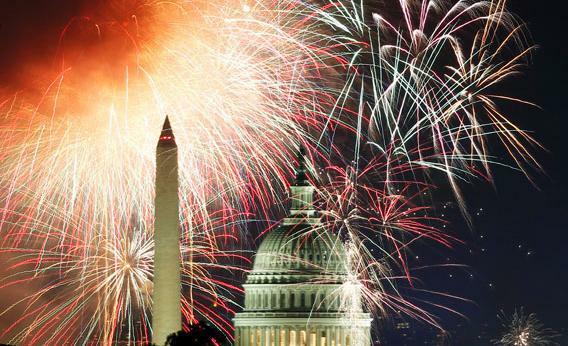 Independence Day: What did early Americans call it? What are we supposed to call this holiday? Fireworks for the Fourth of July. Or is it fireworks for Independence Day? “Independence Day,” or even “Independent Day.” When 18th-century state legislatures planned the first July 4 observances, they didn’t bother to give the day a proper name. “Independence Day,” however, had slightly more currency than “Fourth of July” in contemporary writings. A Royall Tyler poem dating to the late 18th or early 19th century, for example, commands Americans to “squeak the fife and beat the drum, independence day is come!” Tyler also refers to the holiday as “Independent Day,” which was a widely used alternative. Congress established the first federal holidays in 1870: “the first day of January, commonly called New Year’s day, the fourth day of July, the twenty-fifth day of December, commonly called Christmas day, and any day appointed or recommended by the President of the United States as a day of public fast or thanksgiving.” The decision to include common names for New Year’s Day and Christmas, but not Independence Day, indicates how rare the phrase had become. In 1938, Congress granted pay to federal employees on holidays, listing all by name, including Fourth of July, rather than Independence Day. As many history buffs know, there’s some irony to rise of the phrase “Fourth of July” since the date itself has little significance. Congress approved a declaration of independence on July 2, 1776, and John Adams expected that to be the most important date in American history. The official Declaration, however, was approved two days later by a committee. The first printed copies read “In Congress, July 4, 1776.” Since that broadsheet was tacked up in cities all over the nation, the date stuck. The phrase Independence Day has experienced a slight bump over the past 20 years, appearing approximately as often in books as July Fourth and Fourth of July combined. The current U.S. Code uses both names for the holiday. Although some Americans seem to have a problem with it, referring to holidays by date, either instead of or in addition to a proper name, is fairly common worldwide, as linguist Geoffrey Nunberg has pointed out. Britons “remember remember the 5th of November” on Guy Fawkes Night. The Portuguese refer to a 1974 coup as 25 April. Mexican-Americans celebrate Cinco de Mayo, a name that was in use from the very first anniversary of the Battle of Puebla, which inspired the holiday. Explainer thanks James R. Heintze of American University, author of The Fourth of July Encyclopedia, and Ben Zimmer, executive producer of the Visual Thesaurus.